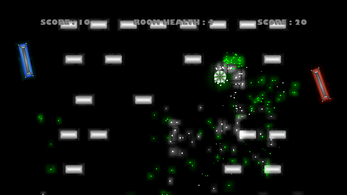 This game is a combination of the games Pong, Space Invaders, and Brick Breaker. 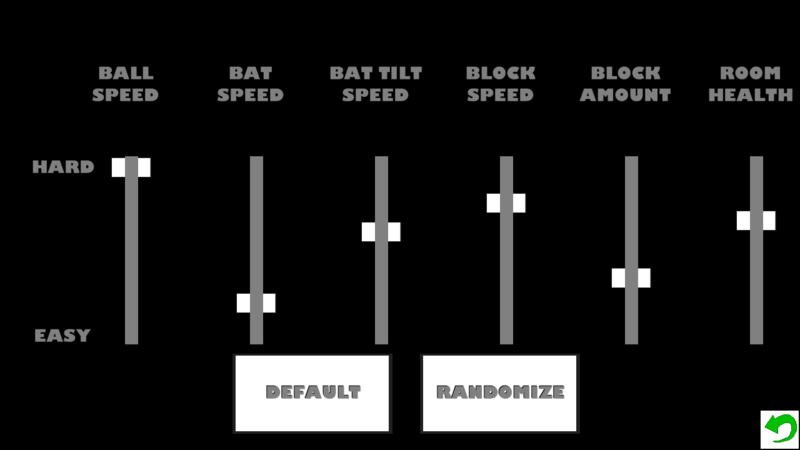 As bricks continuously fall towards the bottom of the screen, players control bats to hit the ball towards these bricks. 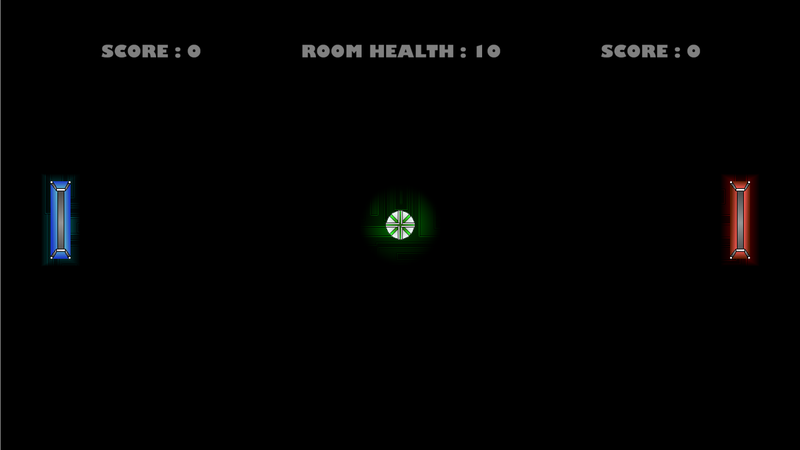 If the bricks are not hit and broken, upon falling to the bottom of the screen, the room loses health. Once the room health is depleted, the game is over and the player with the most points wins. Points are earned by breaking bricks, and by getting the ball past your opponent. 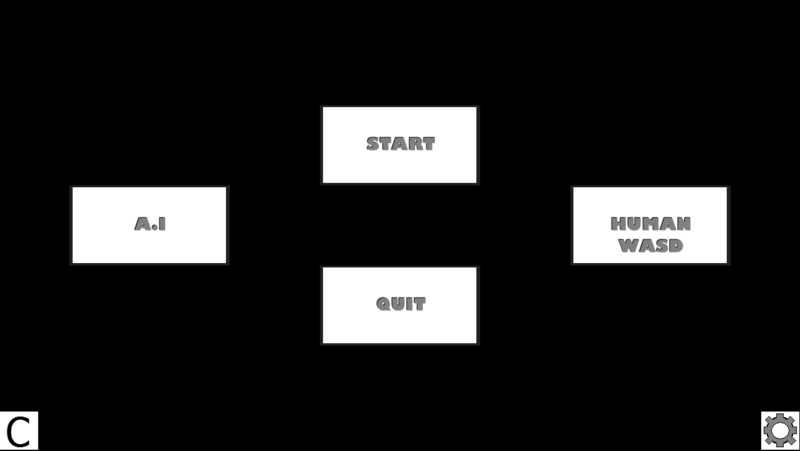 Settings can be adjusted for varied gameplay.